How to START a Small Trucking Business? The trucking business can be very profitable, but it is incredibly competitive. Many truckers try to get into the business every year and end up failing. These five steps point you in the right direction and help you make the transition to becoming a business owner. Obviously, you need the right equipment for your company. Getting equipment is the first and, perhaps, the most expensive decision you have to face. 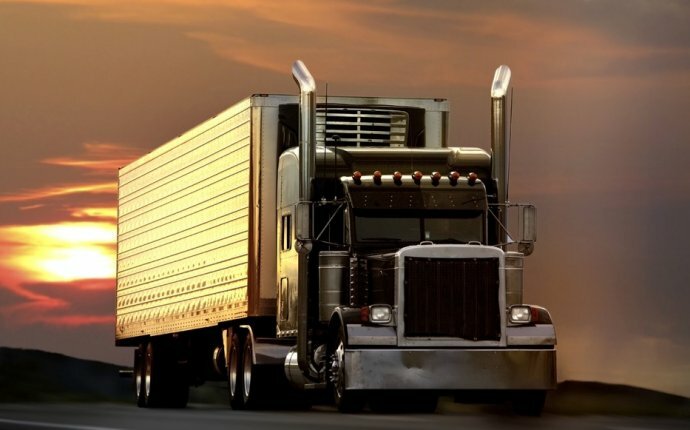 Once you have selected the equipment necessary for your kind of trucking outfit, you need to decide whether you want to buy or lease the equipment. There are a number of owner-operator financing alternatives, which can be confusing to new business owners. Remember that salespeople usually present the option that allows them to sell/lease the equipment. They don’t always present the option that is best for you. Therefore, you need to plan a strategy ahead of time. Buying the equipment is fairly straightforward. You put a down payment and get a loan for the rest. As long as you make the payments, you own the equipment. After the last payment, the equipment is yours free and clear. Leasing equipment can be more complicated. In some cases it can also have lower payments. Leases can be structured much like rentals, where you pay a monthly fee for the use of the equipment. Other types of leases can be structured so that you own the equipment after the last payment. The array of options can be dizzying. Should you lease or buy? There is no correct answer since it depends on your specific situation. Each option has benefits and drawbacks. However, I can tell you that the wrong choice will be expensive and could derail your business. The smartest way to make the choice is to meet with a CPA who specializes in small businesses and have them help you make a choice. The visit may cost $100 – $300, but it is money well spent. And it will help you make more money overall. Note that Commercial Capital LLC does not provide financing to purchase trucks. The smart way to run your business is to use a load board only to get started. Meanwhile, start making sales calls and build your own customer list. Building a customer list is hard work, but it’s the smart way to go. Eventually, through hard work, you can build a list of shippers who will become repeat customers. These customers will be your most profitable clients. I once spoke to a trucking industry veteran who told me that most folks who use load boards exclusively earn about $10, 000 per month per truck. However, he had secured contracts with local grocery stores and other businesses and was generating about $20, 000 per month per truck. That’s double the money, with fewer headaches and less work. For more information, please read “How to find truck loads” and “How to get high paying loads“. Your bid must be low enough to be competitive yet high enough to be profitable. The only way to submit such a bid is to know your expenses: maintenance, truck repairs, truck and trailer payments, fuel, and the cost of your work. Remember to factor in the cost of your troubles. For example, pulling a load through a congested metropolitan area (e.g., Miami, New York) adds difficulty and should cost more. Lastly, remember that once you deliver the load, you need to find a load nearby or get back home. The cost of deadhead miles can easily kill your profits. - How to START a Small Investment Business? - How to START a Small Eatery Business? - How to START a Small Salon Business? - How to START a Small Retail Business?